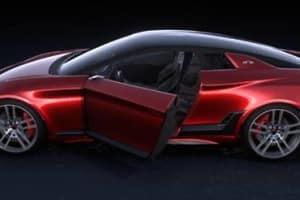 As products become more complex, engineers will need computer-aided engineering (CAE) tools like model-based systems engineering (MBSE), finite element analysis (FEA) and computational fluid dynamics (CFD) to create realistic digital prototypes. 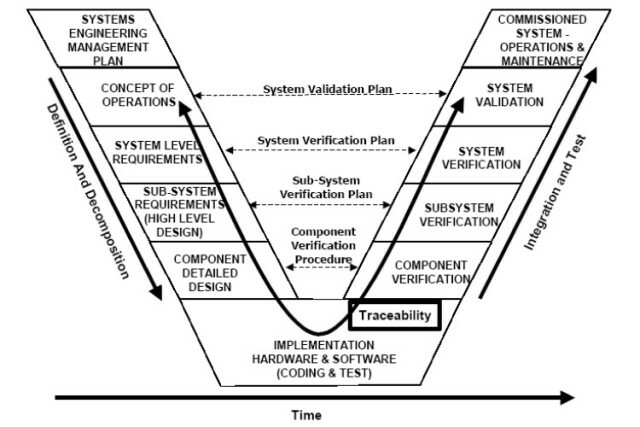 MBSE allows engineers to keep track of the whole system they are creating. Information, from tolerancing to simulation results to alternative CAD drawings, can all be added to the MBSE. One of the biggest advantages to MBSE is the ability to model the whole systems using equations called 1D or 0D simulations. 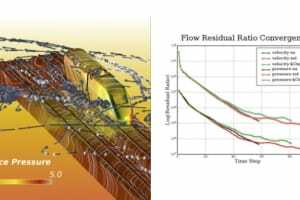 When engineers bring this system-level simulation earlier into the design process, they can better assess the product’s design space. This will help to eliminate design paths while discovering more optimal and innovative options. 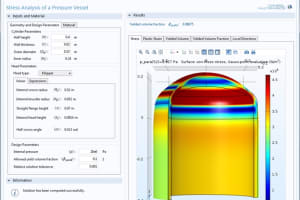 As MBSE programs tend to use drag-and-drop interfaces and simplified physical models, they do not have a large learning curve like many 3D simulation software like FEA and CFD. However, though MBSE is able to look at the big picture of your design, it isn’t able to look into the nitty-gritty detail like FEA and CFD. The aim is to quickly run through simulation and eliminate design paths. 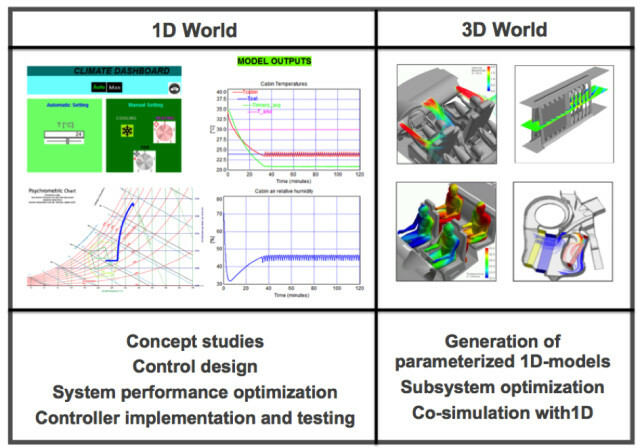 “We can link simple 0D and 1D models of systems engineering and pass those results through to the 3D high-fidelity models so the complete design process is done through a systems engineering perspective,” said Joe Walsh, CEO of IntrinSIM. 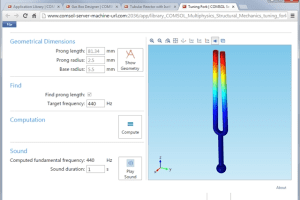 In other words, FEA, CFD and MBSE can be used hand in hand. And they can also be used to feed information back into each other to help increase the accuracy of your system simulations. 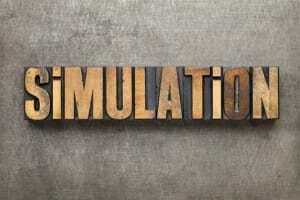 Simulation companies that are expanding their simulation portfolios to look toward the system include ESI Group, PTC, Dassault Systèmes, Altair, MathWorks, Maplesoft and ANSYS. If MBSE is a tool you wish to integrate into your design cycle, then looking at those organizations might be a good place to start. As engineers find out more about their products as a system, they will eventually need to look closer into the individual parts. This is where 3D simulations like FEA and CFD come into play. These 3D CAE tools have not been traditionally easy to use. In fact, experts and analysts are often used to ensure that the information going into the tool will create accurate and meaningful results. Unfortunately, these simulation gurus are often overworked as all the hard simulation work falls upon their desks. Recent trends in the simulation industry are allowing for the democratization of CAE technology. 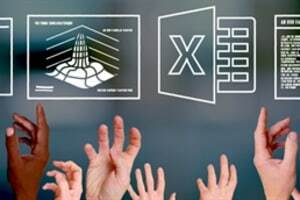 Tools like simulation apps, templates, fit-for-purpose simulation tools and simulation in CAD are making it easier for nonsimulation experts to be capable when using the technology. Additionally, CAE vendors have also been busy updating their UIs to accommodate ease of use. 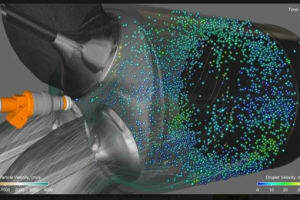 These changes to the CAE world have alleviated much of the load on simulation analysts and allowed them to share their expertise to a wider audience. There are, however, benefits and drawbacks to each democratized CAE option that will affect which option management chooses to implement. When an analyst creates a simulation app, they are essentially creating a small sandbox where a user can create a simulation with limited control on the inputs. Most of the inputs, pre-processing and post-processing will already be set up by the analyst under the hood of the simulation app. These safeguards reduce the risks of errors as an analyst can prevent a bad combination of inputs within the apps’ programming. To bring simulation apps into your workflow, you can ask a consultant, like Comet Solutions, to create one tailored to your organization. Or you can hire an internal expert who can then use a CAE product that includes simulation app authoring abilities like COMSOL or Comet Solutions’ SimApp Authoring Workspace. 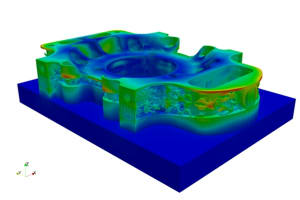 Simulation templates, in contrast, tend to give the end user a little more control over the analysis process. Depending on the simulation platform being used, an analyst can modify the UI and workflow, and automate a lot of the parameter selection. Traditionally, making these templates would have required programming skills. However, new tools exist that allow analysts to create templates without coding. As the template is used in the simulation platform directly, many of the platform’s features will still be accessible by the engineer. This does allow for more freedom but also increases the risk of garbage in, garbage out. 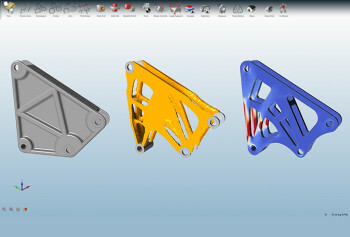 As a result, templates are best suited for engineering teams with a working knowledge of CAE tools. 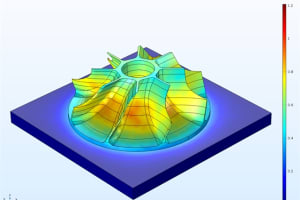 For more on simulation templates, look toward Siemens, Dassault Systèmes, ANSYS and Autodesk. 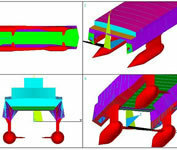 A compromise between the use of apps and templates in the simulation industry is to instead use fit-for-purpose CAE tools. Traditionally, simulation platforms have been general purpose. Though this gives the user the freedom to simulate any system the CAE tool is able to emulate, it also requires a lot of training before you can take off with an analysis. By making fit-for-purpose simulation tools, CAE vendors can provide a program that lets users in a particular field take off quickly. Fit-for-purpose CAE tools use workflows, language and interfaces that are comfortable to an engineer working in the specific niche the tool is specialized in. This reduces the learning curve of the tool. Additionally, as the tool is tailored to a task the engineer is already an expert in, there will be less chances of errors. Unfortunately, if you ever need the expanded use of the full simulation software, it will not be there when using a fit-for-purpose tool, or a simulation app, for that matter. 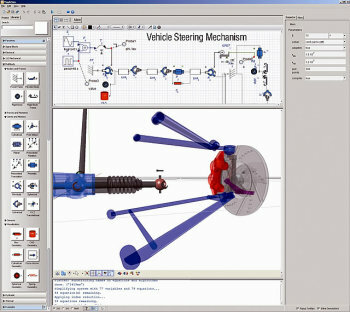 Examples of fit-for-purpose engineering simulation tools are numerous. 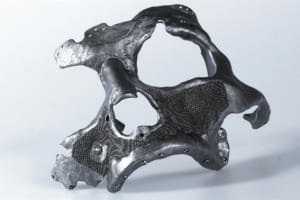 However, some interesting examples include ESI Group’s portfolio of stamping, welding and seat simulation software, and Altair’s Click2Cast. 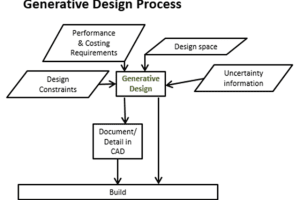 Another way to add CAE into your design cycle is to have it accessible within your CAD environment. The clear benefit is that the design team will have an easier time using the simulation software as it is in a UI they are familiar with. However, this option doesn’t include a simulation expert holding a designer’s hand. Therefore, this option is best reserved for design teams with a good understanding of the physics related to the product. 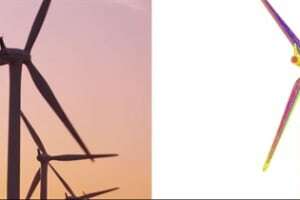 Some examples of organizations moving in this direction include Siemens PLM Software, Dassault Systèmes SOLIDWORKS and Autodesk Nastran In-CAD. 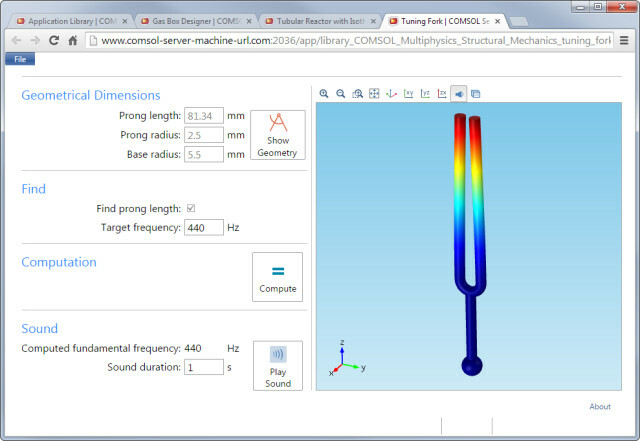 You can also look at tools that integrate into CAD software like COMSOL’s LiveLink for SOLIDWORKS. Even if you do hire a simulation analyst, you will need to have many on your team trained and knowledgeable about how simulation tools work and how to use and interpret them properly. This is especially true if these engineers will be basing decisions on the simulation results or using the software directly. Much of this training and continual education will come in the form of technical papers, videos and guides from organizations like CAE vendors, academics and government agencies. Additionally, CAE nonprofit organizations like NAFEMS also offer CAE courses to engineers. After all, it is in your vendor’s best interest to train as much of your team as possible to ensure that more software seats are sold. As a result, they are often a good place to start an employee’s CAE education. CAE vendors will often have their own training website filled with how-tos, help desks, discussion boards, videos and software manuals. Many will also hold training sessions in major cities and at conferences. When looking into how to simulate a specific phenomenon, it might be best to look at the technical papers produced by academics and government agencies. These two types of researchers release a lot of their work in the form of patents and papers. These could be great sources to ensure that your team is simulating properly. 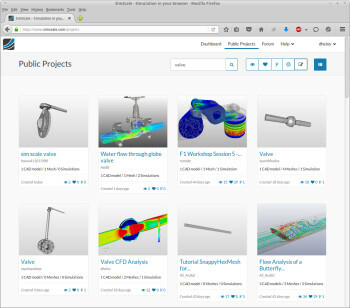 Screen shot of SimScale’s CAE platform on the cloud. 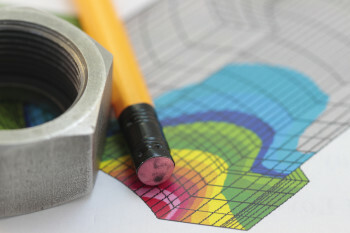 Unfortunately, expertise and training isn’t the only hurdle to bringing 3D simulation like FEA and CFD to your design team? Your organization will need high performance computing (HPC) to run the computationally heavy simulations and user licenses required to get the programs operational. Traditionally, these have been very expensive. To lighten the expense of HPC, many simulation tools now use graphics cards, or GPUs, to crunch the large simulation data. This allows for more compute power from the lowly workstation. Some simulation organizations going down this road include Altair, ANSYS, Siemens and Dassault Systèmes. Additionally, many organizations are now offering pay-as-you-go cloud computational services that offer engineers the power they need without the heavy investment of a traditional HPC computing architecture. Some will even host the whole CAE platform on the cloud while offering token or pay-per-use licenses, reducing the cost of entry. Many of the simulation big players like Dassault Systèmes, ANSYS, Autodesk, Siemens, COMSOL and more have a cloud option. Though many of these cloud options may be affordable for medium to large businesses, smaller operations might still see these CAE providers as too far out of their price range. To combat this, a series of smaller CAE companies, like SimScale and Simulation for Design, have popped up, offering their services on the cloud with drastically reduced licensing costs. These organizations offer simulation technology at a price that is much easier on the budgets of small to midsize businesses. Don’t expect to see the same breadth of functionality you will see from a major simulation player. 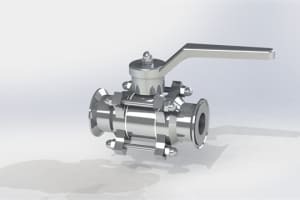 However, these products will be able to fill many of the basic FEA needs of a small to medium-sized engineering operation. 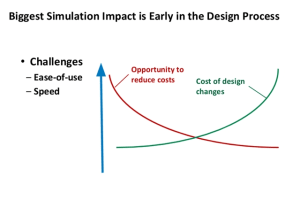 “Simulation for Design is getting a lot of interest from a wide user base thanks to its simplistic approach and low, straightforward price point. For 10 bucks, users can start a simulation,” said Walsh of IntrinSIM. Finally, managers can also choose a private cloud computing company to crunch all of their computations. One organization that specializes in crunching this simulation data from various vendors over the cloud is Rescale. You will still need a license to run the simulation; however, Rescale does sell licenses to many of the CAE software packages they are compatible with. Another way to bring simulation early into your design cycle is with topology optimization tools. These tools use structural simulations, often under the hood, to automatically build an optimized part. All the user needs to provide for the software is the space the part will occupy and the loads it will experience. 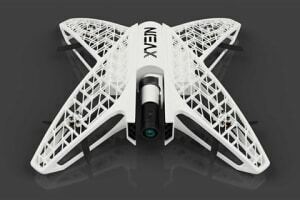 Though this technology has been around for a while, it has started to take off more thanks to the use of 3D printing. 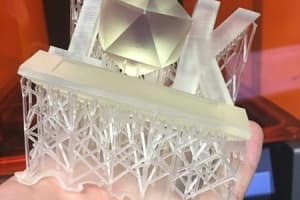 With the use of 3D printers, engineers can manufacture designs that were previously impossible to construct any other way. 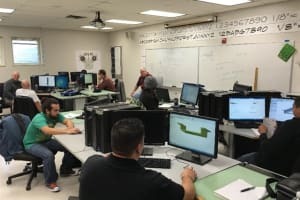 As many of these tools will be targeting early-stage design engineers and not simulation experts, these tools often have easy-to-learn workflows. 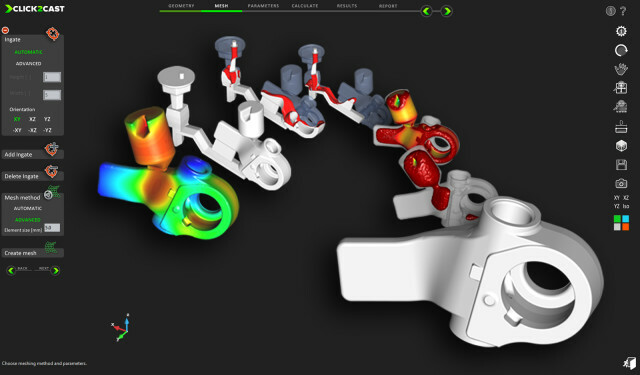 Some CAE providers will also offer two package options for this technology: one that targets the designers with a simplified UI and another for analysts that gives the user more control over the simulations. “For the design engineer, they don’t want to mess with anything. 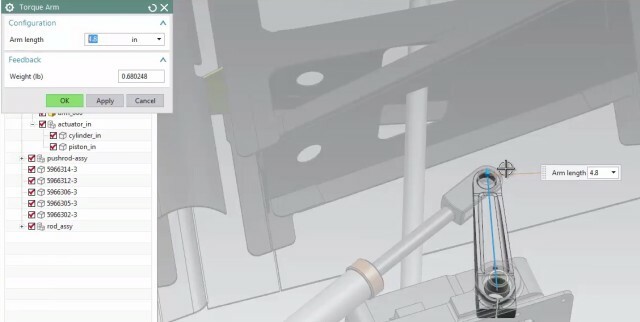 They want to make it easy to use and understand, but for the analyst, they want full control,” said Doug Wenk, director of product management at Siemens PLM Software. As a result, the engineer now has the freedom to create parts that are highly optimized to a part’s load history without worrying about how that part will be produced. In theory, this should make parts that are stronger, lighter and further optimized for their tasks. 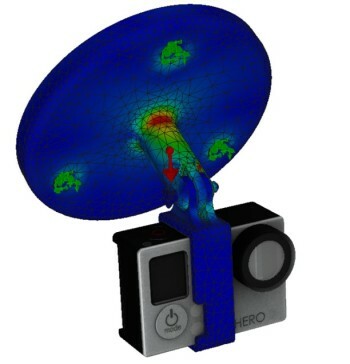 Topology optimization is an early stage design tool. As a result, the engineer will still need to put in work to verify and tweak the part into its final iteration. 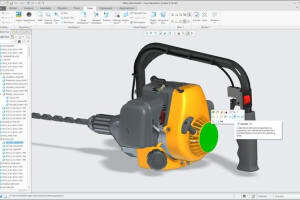 But using these relatively easy-to-use tools, your design team can start using a near-optimized part instead of going with their gut or last year’s model. 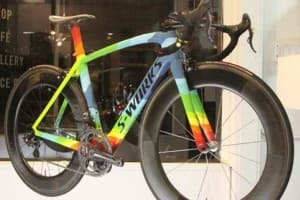 If you are interested in bringing these topology optimization tools into your early design cycle, then you might want to first look at Siemens, Dassault Systèmes and Altair’s OptiStruct and solidThinking Inspire. Adding simulation technology into your workflow may at first sound overwhelming. 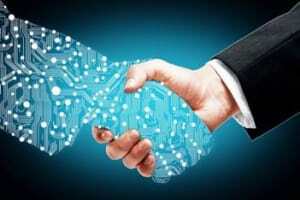 Hearing this from many users, the simulation industry is taking steps to simplify the adoption of the technology. This democratization of CAE tools has been aimed at small to medium-sized businesses that traditionally do not have the capital and expertise to adopt CAE. As a result, vendor agnostic CAE organizations have been working to advance the democratization trend like NAFEMS and the Analysis Simulation, and Systems Engineering Software Summit (ASSESS). For instance, NAFEMS has released a series of simulation buying guides that point organizations to the right tool for their jobs. These documents address how organizations can buy and choose FEA services, systems and pre-/post-processing, and how they can use and understand the results. Additionally, ASSESS gathered representatives of CAE vendors, thought leaders, industry, academic and government to discuss the CAE industry trends, including democratization. The vision of ASSESS is to provide anyone who can benefit from simulation with access to it. In their discussions, they set a goal to extend the use of CAE tools by an order of magnitude within the next five years. As a result, expect to see more movement toward democratization from CAE vendors that work with NAFEMS and ASSESS. Since these vendors will be courting small to medium-sized businesses to use their CAE technology, now is the perfect time for your engineering team to jump in.